1. What forms of payment do you accept? Is your payment system secure? 3. Are you a Black owned business? 4. Can you send me a printed catalog of your T-shirts? 5. Do you make custom shirts? Can you change a shirt I saw on your website? 6. Do you sell your shirts wholesale? 7. Is there a way I can find t-shirts in my size quickly? 8. How do your shirts run as far as size? Do they tend to run big or small? 9. Do you have a size chart? 10. I can't find a t-shirt you used to carry a while ago. Can you get more? 11. I like a couple of your designs, but they are either too BIG or too small for me. Can you get the t-shirt I want in my size? 12. How much do you charge to ship t-shirt orders? 13. How do you ship your shirts? Is rush shipping available? 14. Do you accept orders placed outside of the U.S.? 15. I just ordered a shirt. When will it arrive? 16. How can I ensure that I receive my order? We accept Visa, MasterCard, American Express, and Discover, both credit and debit cards. Our checkout process uses Authorize.net, one of the most trusted and secure online payment solutions on the internet. We also accept Paypal, which is probably the most widely used method to pay for things online after credit cards. We are sorry, but we do not accept personal checks or money orders. We do not share personal information with anyone. And we won't sell personal information either. That's not the business we're in. We appreciate the trust our customers give us and we will not do anything to compromise that trust. 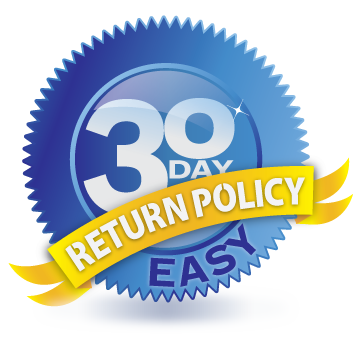 To see our full Privact Policy, please click here. We are a 100% black owned and operated business. We never predicted we would be asked this question, espcially since we got our start selling t-shirts at cultural fairs and festivals back in the day. Of course, those were the days before the internet, and we sold t-shirts to our customers face-to-face. Since we don't participate in fairs and festivals anymore and we are online now, we understand why get asked that occassionally. We do not offer printed catalogs. Our t-shirt inventory changes monthly and a catalog just wouldn't make sense for us. (If we did print a catalog, we would be changing it every other month to keep up with the addition of new t-shirts.) T-shirts are sold only through our secure online store. We do not make custom shirts. We do not offer customized versions of our existing shirts. We do not sell any of our shirts at wholesale prices. We may consider this in the future, but wholesale is currently not available. Absolutely! We have added a new size filter to our store. Choose a category from the main menu (such as "All T-shirts" or "Music"), and look for the SIZE filter on the left. Everything we have currently available in the size you are looking for will appear. Some t-shirt brands do make their T’s a little larger than their advertised size. This is done on purpose: all cotton clothing will shrink just a little, so some manufacturers compensate for this by making their T’s slightly larger to accommodate. Poor quality t-shirts tend to run small, or shrink to the point that they no longer remain the same size. We don’t carry poor quality t- shirts. Quality t-shirts should always remain true to size. That means a Large t-shirt will always be a Large, and won't get too tight or shrink to Medium after it's been washed a few times. Quality t-shirts do not shrink to the point that they cannot be worn anymore. We carry only quality t-shirts. Don't second guess yourself. Purchase the t-shirt size you normally wear. Look over your existing t-shirts: what sizes are the shirts you prefer and wear most often? That’s the size you should purchase from us. If you normally wear size Large, please purchase a Large t-shirt. If you wear a Medium or a 2XL, please choose those sizes. Don’t second guess yourself, our t-shirts are true to size. Only QUALITY t-shirts are sold here. We hate cheap t-shirts and we're sure you do too. What’s that got to do with t-shirt sizes? Cheap t-shirts tend to run small. Or, they shrink-up in the wash. Please choose your correct size without worrying about crazy shrinkage. Our T’s stay true to size. It depends… Licensed t-shirts tend to be discontinued without notice. (Licensed t-shirts are generally shirts with famous people, for example: Bob Marley, Muhammad Ali, Martin Luther King, Redd Foxx, etc.) Manufacturers will carry a particular style for a few months or maybe even a few years, but they will eventually stop making them. This happens usually without warning. It pretty much works this way most of the time. If you see a shirt you like, it's best to get it sooner rather than later. We do our best to restock a given design once we run out, but we cannot always guarantee availability. Please note, when we realize that a particular t-shirt is no longer available, we add the shirts we have left to our Discontinued section. As for the t-shirts we create ourselves (we do not make our licensed designs, we purchase those t-shirts from licensed distributors), t- shirt availability is largly up to you: our customers. In other words, if a particular design is popular, we will continue to make it available. If not, we will stop. FYI: There were a number of popular styles that we created a few years ago, and we are bringing back many of those designs right now! Please stay tuned. If there’s a particular shirt you’re looking for, let us know. We will follow-up with you regarding availability. * Many manufactures carry a given design in only a few sizes. For example: many vendors won’t make shirts that are any larger than 2XL. Fewer will go beyond 3XL. A handful of manufactures won’t make a given design in small or medium, only the larger sizes. * As for the shirts we make ourselves, we try to accommodate all sizes: from Small through 4XL, and occasionally 5XL too. And we always try to keep a given design stocked in as many sizes as possible. If we run out of a given size, it's temporary... we'll make more. We charge one flat rate: $4.99. Buy one t-shirt or buy 10 of them. Shipping is the same price. If you select Signature Confirmation, then the cost is: $7.99. 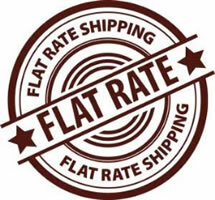 For customers living in Canada, we charge a flat rate of $12.99. All other International countries, we charge a flat rate of $21.99. We use the United States Postal Service exclusively to ship all t-shirt orders. For US customers, all orders are shipped First Class Mail with Delivery Tracking. For customers living outside the US, we ship all t-shirt orders United States Postal Service Airmail. Rush shipping is not available because we do not use any other shipping service (UPS, FedEx, etc.) for t-shirt delivery. Yes! Absolutely! We accept t-shirt orders from various countries, including: Canada, France, The United Kingdom, Germany, Sweden, and Japan. If you have a question or concern regarding your country, let us know. Please Note: We also ship to Military addresses: APO, FPO, & AE. We absolutely ship to the men and women serving our country. Orders arrive safely and securely because we ship our t-shirts using United States Postal Service - First Class Mail with Delivery Tracking. Once your order is shipped, you will receive a confirmation email with a tracking number. You will be able to track your order using the Postal Service’s tracking website. * Use a work address instead of a home address as a shipping address. * Use an address of someone you both trust and you know will be available to receive the package. * If you live in an apartment complex or other managed property, use the address of the rental office in your facility instead of your apartment address. You will be able to pick up your delivered package from the office instead of finding it sitting outside your door. The US Postal Service is the best, most convenient, and most reliable means of package delivery. Most delivery problems occur for reasons other than Postal Service error. Urban Profile T-shirts is not responsible for undelivered orders that are reported to us when the Postal Service's shipping and tracking system shows a completed and successful package delivery. This is RARE and almost NEVER happens, but… if you receive your shirt and it is different from what you ordered (wrong size, wrong design, or wrong color), or if your shirt is defective (unraveling seams, or some other manufacture's defect) please contact us and we will send you a pre-paid, return envelope. Once you receive your mailing envelope, return your shirt to us unworn and unwashed within 30 days of the original date of purchase and we’ll be happy to exchange it for you, or issue a refund. If you ordered the wrong size or design for yourself, we can fix that. Please ship the shirt back to us unworn and unwashed within 30 days from the original date of purchase and we’ll be happy to exchange it for you. Please contact us and tell us which shirt you want ahead of time so that we can remove your shirt from our inventory and reserve it for you. If we've missed something and you have additional questions, please let us know. We will respond as quickly as possible.